The key facilitator in multilateral, international efforts to halt deforestation, forest degradation and resulting greenhouse gas emissions, the Forest Carbon Partnership Facility (FCPF) recently announced some $23 million in new grant funding for six additional REDD+ Country Participants. Eighty percent of above-ground and 40 percent of underground terrestrial carbon is found in the world’s diminishing forests. Rising populations and business-as-usual economic policies and commercial activities threaten what remains of worldwide forest cover and the myriad ecosystems services, as well as intrinsic value, they provide to human populations and society, however. Acting as “carbon sinks,” the world’s forest, tropical forests in particular, absorb vast amounts of carbon dioxide from the atmosphere. 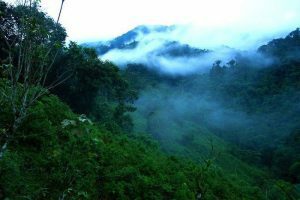 That’s just one of the critical, life-supporting ecosystem services forests provide, one that has profound ramifications when it comes to local and regional changes in weather, precipitation levels and patterns, water resources, soil erosion and desertification, as well as global warming. Deforestation and forest clearing is the second largest contributor to human-caused global warming, accounting for some 15 percent of global greenhouse gas (GHGs) emissions. In countries where large areas of tropical forest remain, such as Brazil and Indonesia, deforestation and forest degradation “are by far the main source of national greenhouse gas emissions,” the FCPF notes. Finding an effective, politically acceptable means to halt deforestation, forest degradation and resulting carbon emissions while raising raising living standards and quality of life is considered one of civilization’s greatest challenges. Led by the United Nations (UN), REDD+, as the name indicates, is the principal international vehicle for “Reducing Emissions from Deforestation and Forest Degradation.” The “+” denotes going beyond deforestation and forest degradation to incorporate the identification and implementation of sustainable development pathways within the policy-making framework. Based on classical and neo-classical economic theories, the true, fundamental value of forest ecosystems and services typically hasn’t been adequately considered or incorporated in conventional international development; regional, national and local government policy-making or business management decision-making. A wide range of organizations are working to address this fundamental shortcoming. UN-REDD+ and FCPF, “a global partnership of governments, businesses, civil society, and indigenous peoples,” is at the forefront of this fundamental wave of change affecting the way forests are valued, managed and exploited. FCPF is a $648 million global partnership housed within and with the World Bank acting as trustee. Comprised of 14 tropical forest (REDD+) country member governments, 14 REDD+ donor countries and observers representing indigenous peoples, civil society and international organizations, FCPF’s organizational structure has been designed to reflect and offer representation of all the major stakeholders in forest management, economic and social development and ecosystems conservation. In total, 36 REDD+ countries and 18 financial contributors – 15 donor countries, 2 private sector companies, and one NGO – are FCPF members. Providing financial and technical support and building national institutional capacity to design and implement effective REDD+ strategies, policies and programs is ate the core of FCPF’s mission. Two complementary funding mechanisms – The Readiness Fund and Carbon Fund – are funded by public and private sector donations from multiple UN-member nations. Progress on REDD+ has been grudging, slow and halting, which isn’t so surprising given the enormity of the changes envisaged, the inherent conflicts of interests and the complexity of the challenge. Chile, Honduras, Papua New Guinea, Suriname, Thailand and Vanuatu’s submission of REDD+ Readiness Plans and the resulting $23 million in FCPF grants show that progress is being made, however.